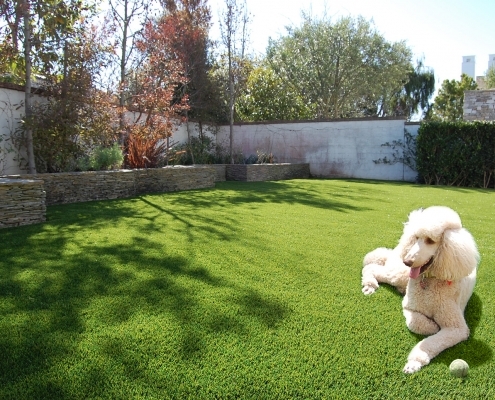 Do you own a pet? 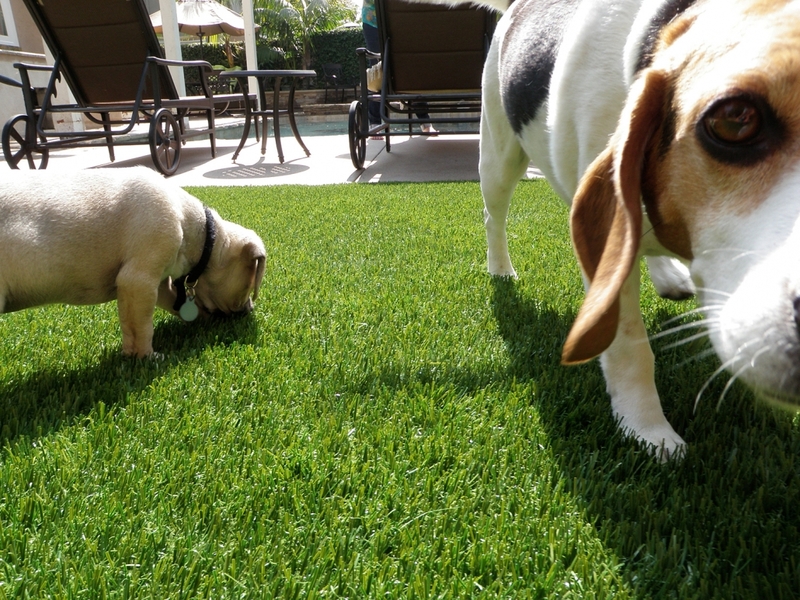 More than one? 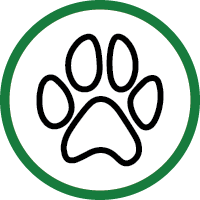 How about ten? 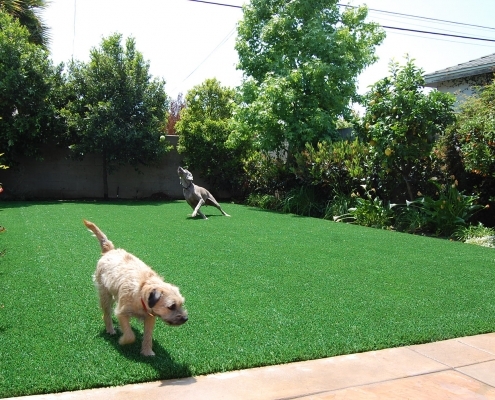 Not to worry because Synthetic Grass Warehouse stocks artificial grass specifically developed for your furry friends! 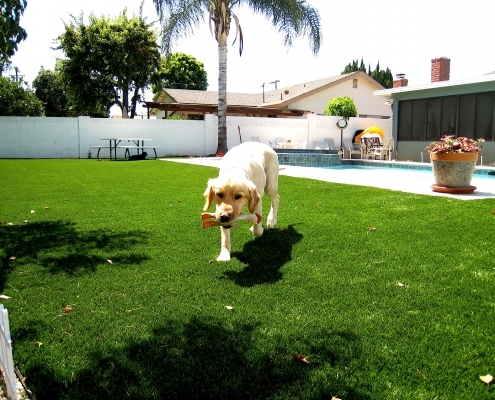 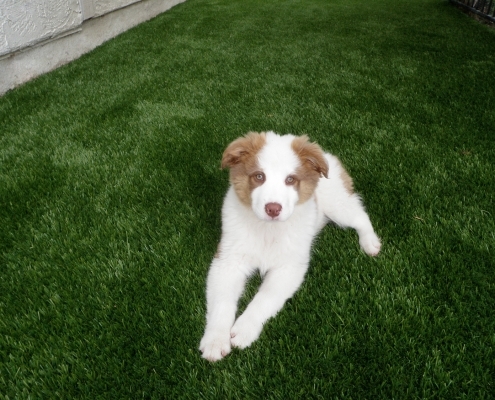 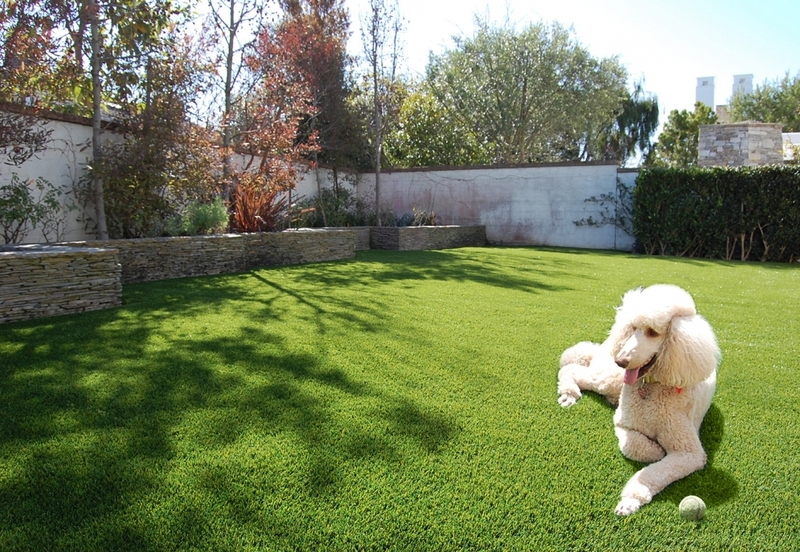 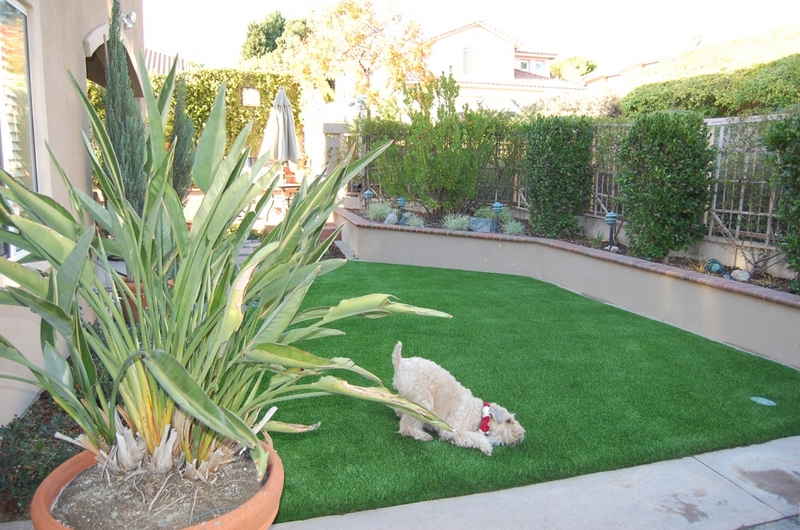 Our durable Pet Turf system ensures a safe, fun and low maintenance environment for you and your pets. 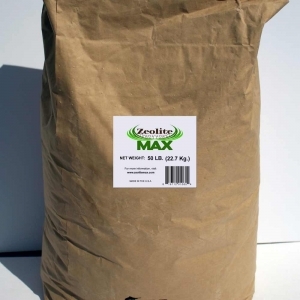 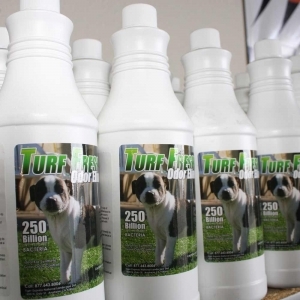 Our products guarantee your lawn will not fall victim to brown spots, muddy holes or buried bones. 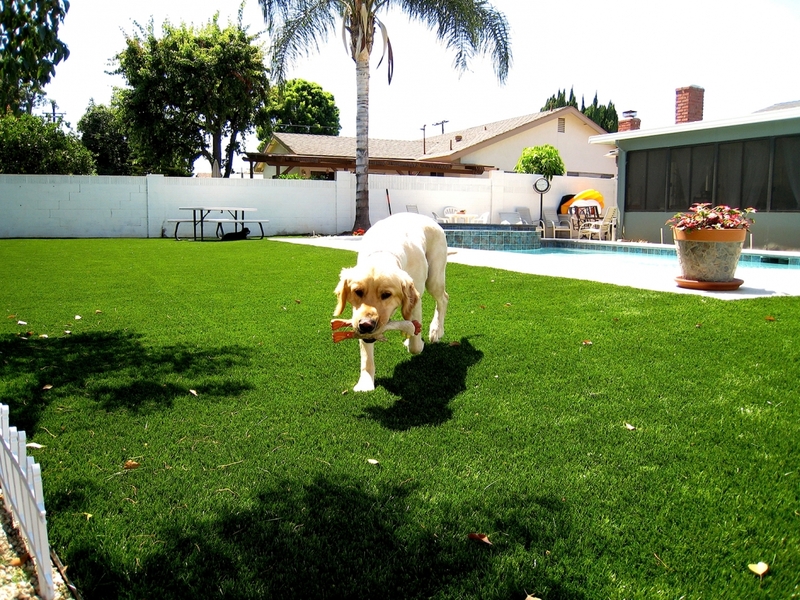 Best of all–cleanup is as easy as hosing it down! 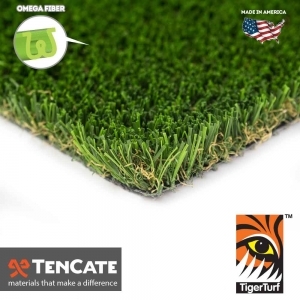 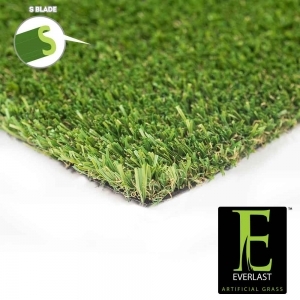 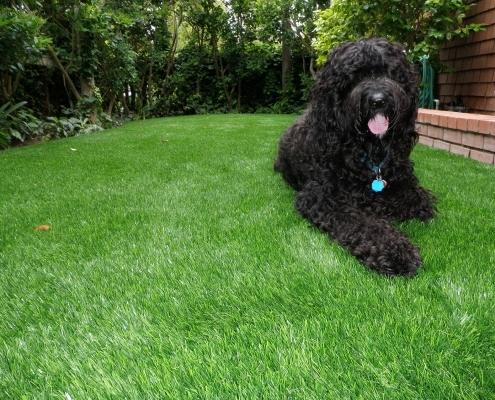 Don’t let our Pet Turf product fool you! Our Pet Turf line still looks and feels like real grass! 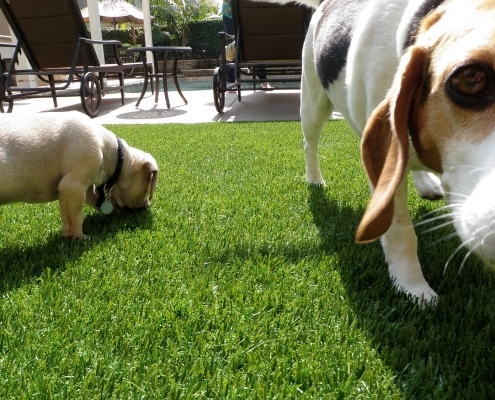 In fact, most animals can’t tell the difference! 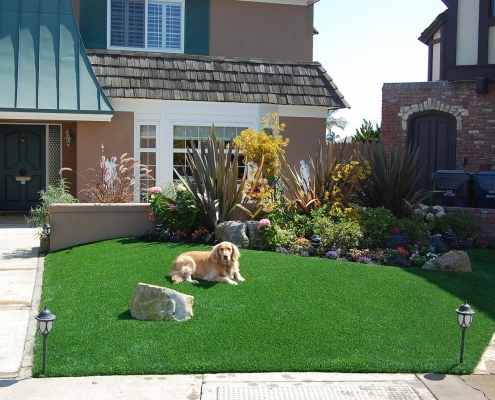 It’s perfect for front yards, back yards and dog runs of all sizes. 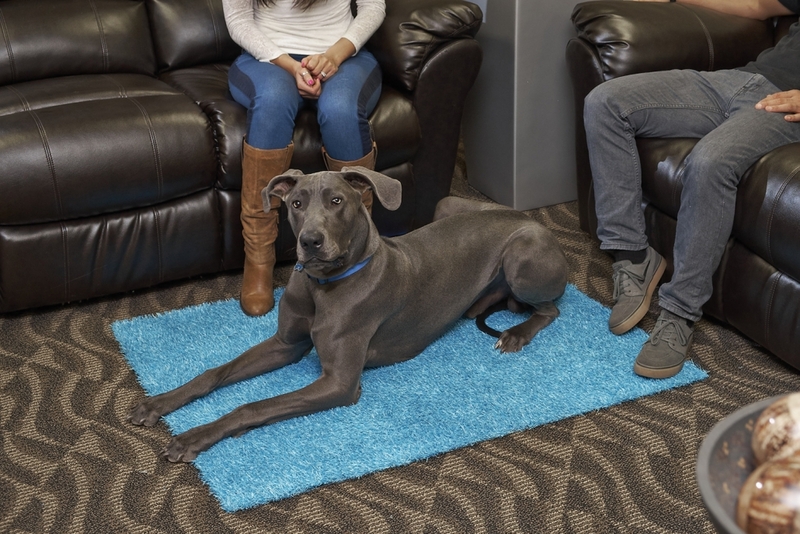 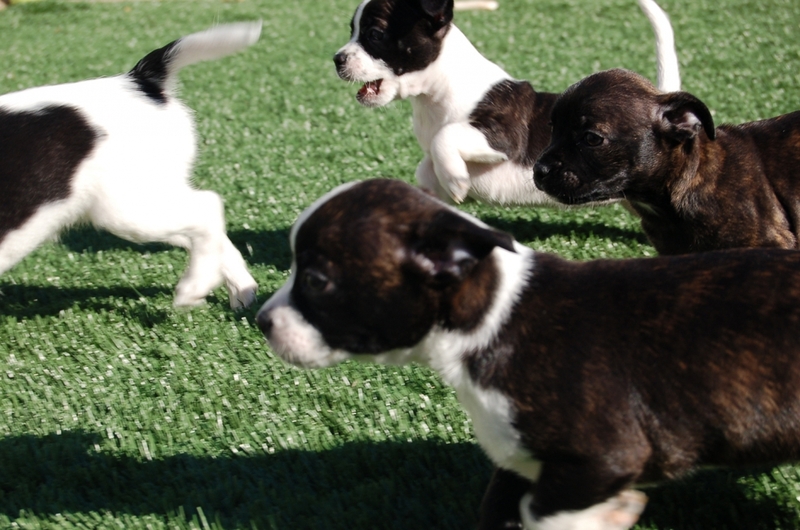 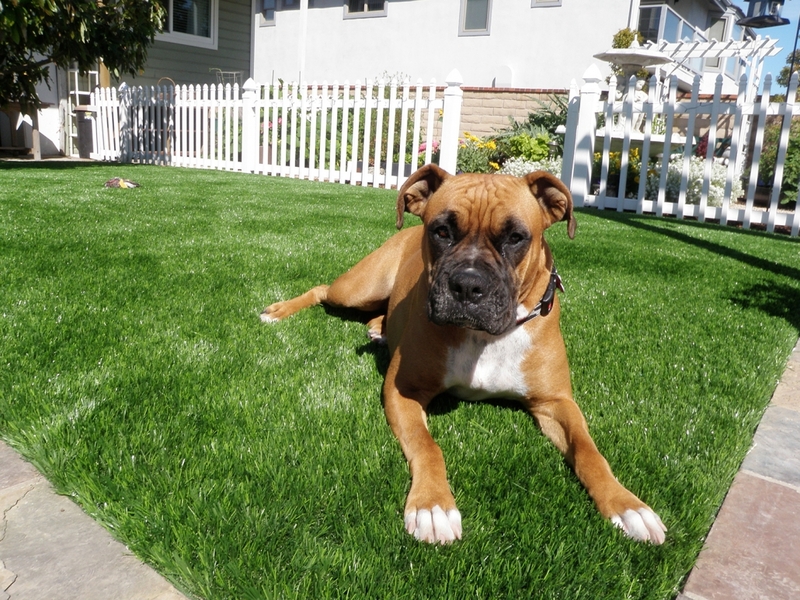 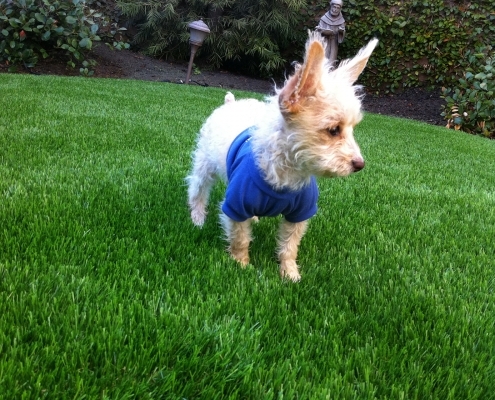 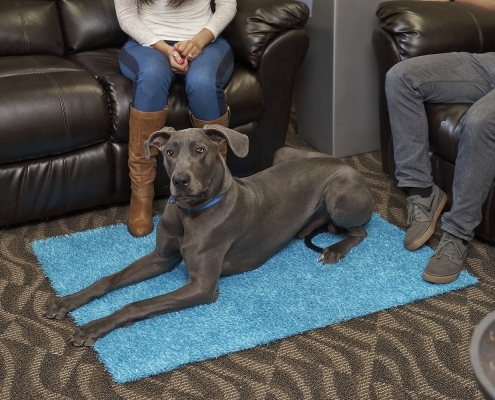 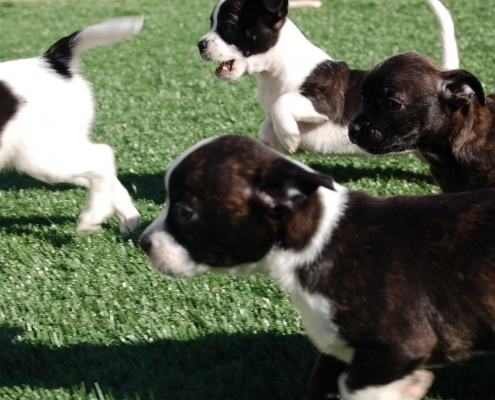 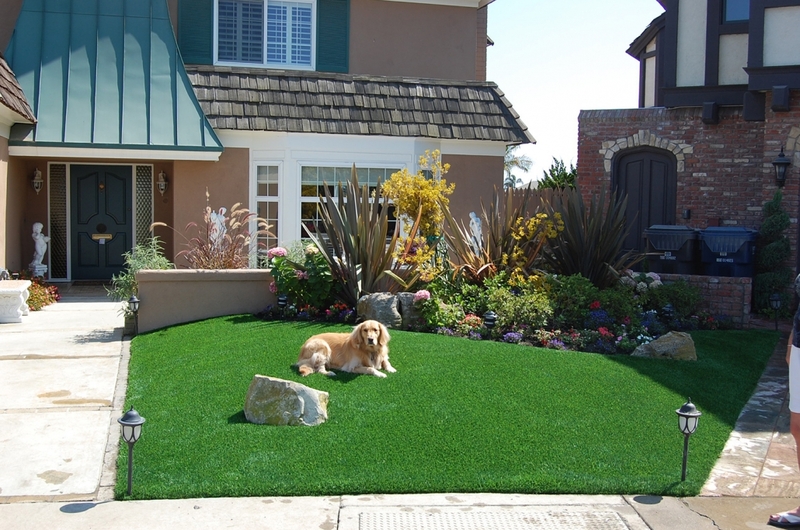 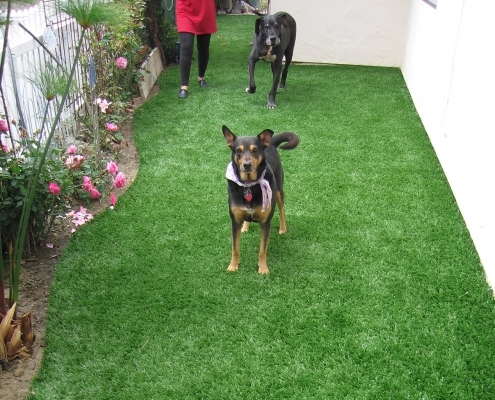 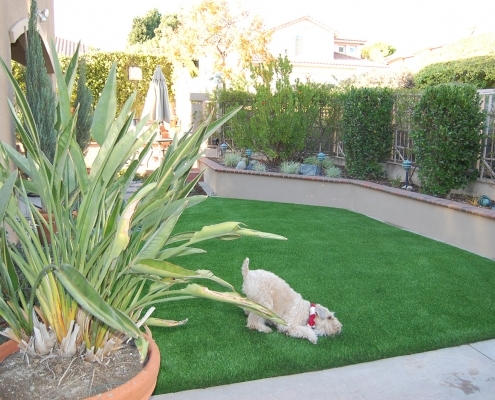 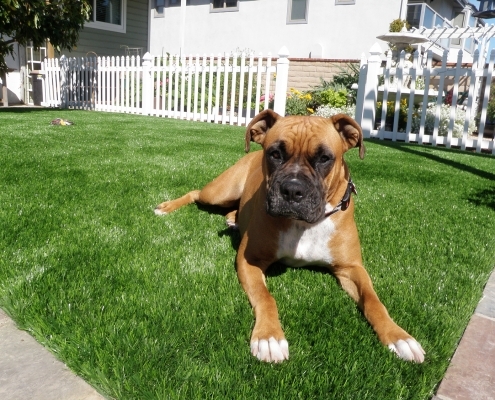 Dogs large and small–from Chihuahuas and Pit Bulls to Great Danes can enjoy our Pet Turf system! 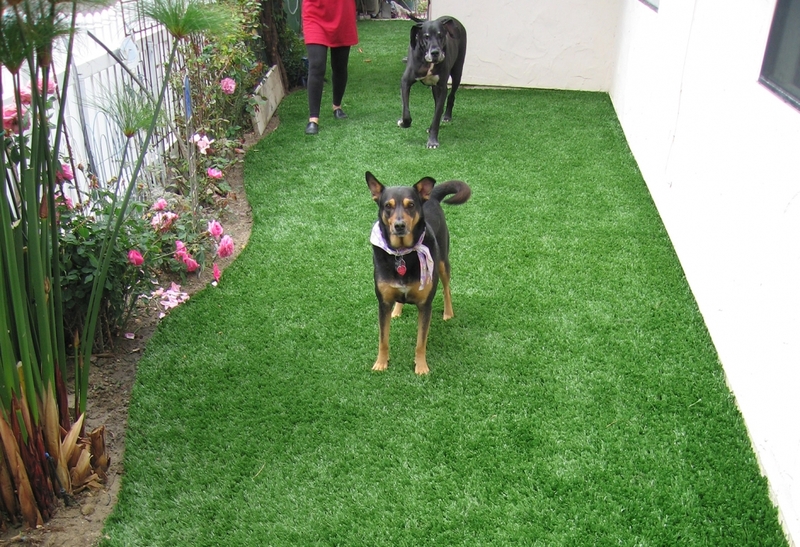 Animal shelters, boarding kennels and ranches love our products because Pet Turf can withstand the roughest play. 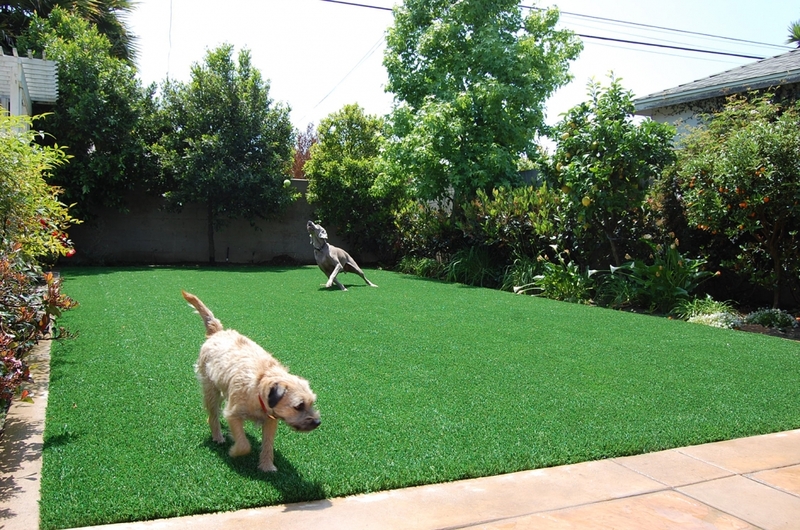 We can refer you to an installer in your area who will create your pet paradise! 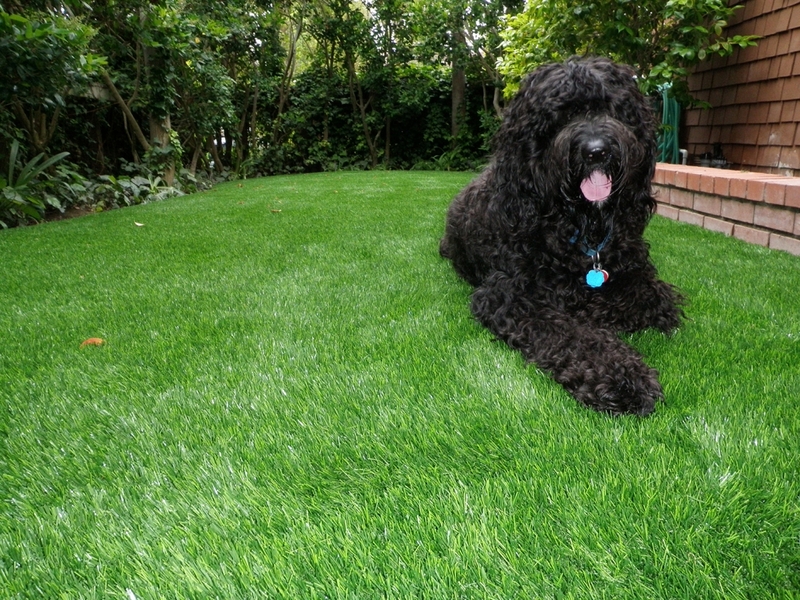 It may be hard to tell the difference between our grass and natural landscape, but it’s not hard to see why our Pet Turf is the best!